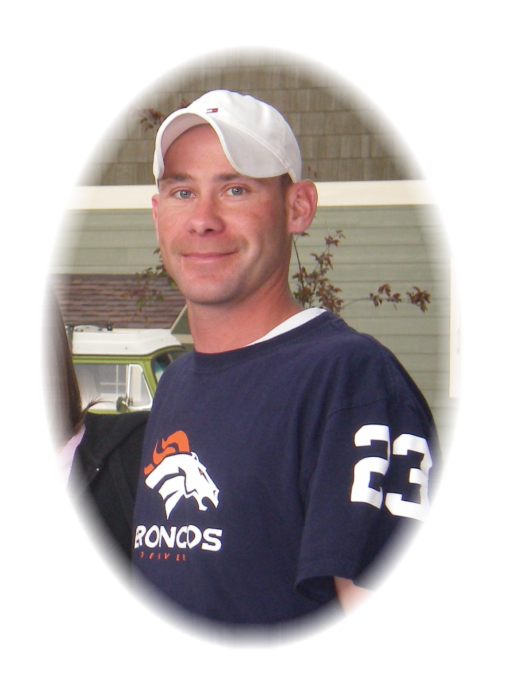 Timothy Edward “Tim” Birkeland, 41, of Bozeman, Montana formerly of Livingston, passed away at his home on Sunday, March 17, 2019 due to unforeseen health complications. Friday, March 22nd, 2019 we remember Tim with a memorial in his honor at the Franzen-Davis Funeral Home in Livingston at 2:00 P.M.
Tim was born on November 21, 1977 in Livingston, Montana to Ray and Bonnie (McClain) Birkeland. He was a sibling in the first set of identical triplets ever delivered in Livingston. His youngest brother, Travis, died at birth. Tim, who was affectionately known as “Tim-O” to family, was an adventurous kid from day one. Tim and his brother, Tom, were a force to be reckoned with. They soon learned the skill, and usefulness, involved with sharing each other’s identity, this was something that they have perfected over the years. The boys could often be found riding bikes down the street, wind in their hair, Tim’s face with the biggest and most beautiful smile. Tim was a 1996 graduate of Park High School; we remember him playing basketball, always full of energy. Tim was always good at working with his hands. Following school, the boys joined a company as telecommunications installation contractors. The boys traveled the Pacific Northwest and lived for some-time in Portland. Tim took to another passion, building. He worked in Washington, as a framer. He built beautiful custom homes and was so proud being able to help create these projects. Tim then moved back to Livingston where he met his longtime-partner, Jessie. They moved to Bozeman, where he had been living and working since. He was in the process of getting his own framing company off the ground. And we are so proud of him. Tim was loyal. He loved his people and he let you know it. Tim was funny, he had a joke ready that would turn your day around, or just put you at ease. He could, and often would strike up conversations with strangers, making many friends that way. He loved animals, was good cook, and really enjoyed cooking and grilling, or “chefing,” as he called it. Tim-O, we are truly broken hearted that you are gone from us. We know how lucky we were to have had that big beautiful smile in our lives. We will miss you, and you are so loved. Tim is survived by his dad, Ray Birkeland; his twin brother, Tom “Tom-O” Birkeland and his wife, Stephanie; his sisters, Rhonda Birkeland and Krista West and her husband, Matt; his nephews, Travis McNeill and Deven Birkeland; his longtime-partner, Jessi Malcolm and her children, Mariah, Kyle and Madison; uncle, Elroy “Unkie” Birkeland and his wife, Judy, and cousin, Windy Birkeland and her children, Finlee and Bodie. Tim will also be remembered by, aunts, uncles, cousins and many friends, too numerous to list. He was preceded in death by his twin brother, Travis; his mom, Bonnie; his paternal grandparents, Emil and Ruth Birkeland; maternal grandparents, Betty McClain and her husband, Hank Klasen. Memorials are preferred to the Stafford Animal Shelter, 3 Business Park Rd, Livingston, MT 59047 or the American Heart Association, www2.heart.org.